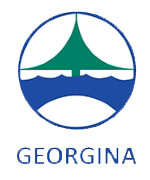 Georgina Electronic-records Management System (GEMS) is a portal containing archived Town of Georgina's council agendas & minutes, bylaws, resolutions and staff reports. Please select the appropriate tabs for the available information. Alternatively, you can visit the Council Agendas and Minutes webpage at the Official Town of Georgina website. Should you require further assistance or wish to obtain hard copies of agendas and minutes, please contact the Clerk's division. For bylaws, resolutions and staff reports from 1998 to present, please enter a key word in the following textfield. Enter one or more keywords to search our database. Please note that '*' and '?' wildcards are supported. Asterisk (*) Use the asterisk as a substitute for zero or more charaters. Question Mark (?) Use the question mark as a substitute for a single character. Quotations ("__") Use quotations to specify an exact keyword/phrase when searching. Please report any errors and/or problems to the Information Technology Services division by email at support@georgina.ca or by telephone at (905)476-4301. If available, please provide a screenshot or include the specific error message and the date and time you were attempting to access the system.